The Desolation Canyon River Rangers are a crew of five dedicated seasonal employees of the Bureau of Land Management (BLM). 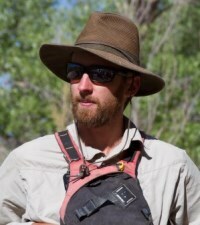 Mick Krussow started as a ranger in Desolation Canyon in 2002. Jim Wright signed on in 2003. Dave Kelly was first hired in 2010. Ryan Hygon joined the crew in 2011. Katie Byrd has been there since 2012. Outdoor recreation planner, Matt Blocker is their main office contact and he allows them the freedom to succeed. 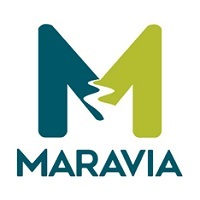 This team shares a dedicated passion for the place, a desire to enhance the user experience and a deep understanding of the natural resources. The crew is able to identify and respond to issues with minimal direction. They excel at working with the public, cultivating partners and working to benefit public lands and resources. Desolation Canyon contains a large National Historic Landmark and an Archaeological District. Identifying a need for more complete cultural resources inventory and monitoring in the context of cultural resource management, the rangers partnered with the Colorado Plateau Archaeological Alliance. The rangers provided support for nine Alliance expeditions, enabling the Colorado Plateau Archaeological Alliance and volunteers to inventory and record over 1,000 sites in the canyon. The rangers supported these trips as guides, getting the archeologists to sites and areas in the most efficient fashion. In turn, the rangers learned skills in site identification and documentation they were then able to incorporate in to their patrol monitoring. Desolation Canyon is bordered by the Ute Indian Reservation. 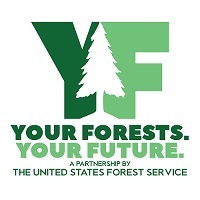 The rangers work with tribal employees and have conducted trips with the Ute Youth Conservation Corps. The rangers have hosted/supported trips for the local alternative high school, engaging youth in river work that would not normally have the opportunity. A visit to Desolation Canyon has been a life changing experience for a number of people, and these youth from Carbon County are no exception. 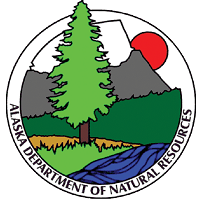 To address the problem of with invasive species, particularly Russian olive and Russian knapweed, the rangers have worked with plant specialists in developing a treatment/eradication program andhave become certified in herbicide application. Due to their efforts, Russian olive is largely absent from the canyon. Russian knapweed spread has been kept in check and size of infestations reduced. The rangers work with the public on a daily basis. They see their mission not as enforcers or garbage collectors, but as facilitatorsfor great user recreation experiences. They assure the high quality wilderness settings upon which those experiences are dependent.. They share their passion for place and strive to create appreciation for the canyon and its resources. Their approach is low key and friendly:Compliance checks are conducted in the spirit of “we want you to have a great experience,” rather than searching for defects and “gottcha” moments. Desolation Canyon is one of the only places where users report that rangers enhance their experience. 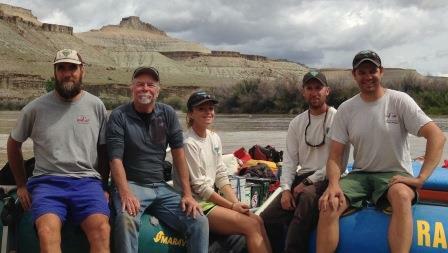 This past season, the rangers helped host a River Management Society Southwest Chapter, seven-day float through the canyon. Also along was a film crew from BLM public affairs. One of the purposes of the trip was to produce a video on the river permit system and stipulations. That film has been released and is an excellent product for the general public. The rangers have worked to improve of their working environment and public spaces. They completed major renovation of the ranger quarters and office space. They created interpretive materials and installed them around the Sand Wash put it, with creativity: this is one of the few locations that have interpretive signs in the outhouses! Another creative effort was naming campsites and public rental cabins for members of the Powell Expedition rather than merely assigning each a number. Along with their primary work in Desolation Canyon, the rangers patrol Labyrinth Canyon on the Green River, and tributaries of the Green; the San Rafael River, Muddy Creek and Price River. The rangers are the main eyes and ears for the BLM on these river segments for resource conditions and hazards identification. This award category recognizes an individual who has contributed to the success of the River Management Society. Michael Greco is the recipient of the Contribution to RMS Award for 2015. We would not have a Canadian chapter if Michael was not involved. He was responsible for showcasing river management and stewardship in Canada and changing our name from American River Management Society (ARMS) to River Management Society (RMS). Michael was the founder of the Canadian River Management Society in 1995 which became the Canadian Chapter of the River Management Society in 1997. 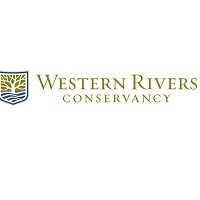 This initiative connected Canadian river managers and scientists to the broader North American river conservation community. He successfully acquired Canadian government charitable status in 1996, and was President of the organization until he suffered a massive stroke in August of 2013. Over the years, Michael participated in many CRMS-related projects and coordinated communication between his members and made sure their accomplishments were duly documented. In 2000, he coordinated the River of Dream project, whose objective was to float hundreds of model canoes through Canada’s vast network of watersheds to highlight their vastness and connectedness. Michael has contributed more thoughtful notes and time to his committee assignments and related deliberation than any other current or past board member. He worked on and contributed substantially to the formalization of our Sponsorship and Fundraising policies, collaborated with other officers to raise the technical quality of the RMS Newsletter, turned RMS Journal. He has also contributed generously to every RMS symposium silent auction since 1991. 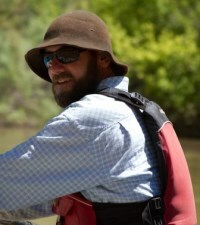 Michael worked with others on a River Management certification concept in the mid-2000s, and in 2011 expressed his continued belief in its value, encouraging another visit to the concept. 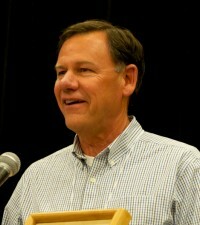 He became a quiet but powerful supporter of the River Studies and Leadership Certificate (RSLC), the champion of this project through its first years of development, continually applauding its vision and potential cultivating the interdisciplinary skills and experiences required manage North American rivers wisely. The RSLC would simply not exist if not for his enthusiasm and support for RMS staff and participating advisors. Michael has cared so very much for RMS, always extremely supportive of the individual board members. He was always there to ask the hard questions with budget, especially in the early days when we were learning to become the best we can as an organization. He brought sometimes overwhelming attention to detail that was balanced and insightful. He was one of the founding fathers of the Canadian Heritage Rivers System (CHRS), Canada's national river conservation program, inaugurated in 1984. This system is now the world's largest river conservation program including 42 of Canada's most outstanding rivers - more than 4,000 river miles protected. He served as the first National Science Advisor for the CHRS and developed innovative methods for monitoring water quality and natural heritage values for Canadian Heritage Rivers. Michael developed a series of instruction booklets for river ecology monitoring by citizen organizations such as the Girl Guides of Canada. 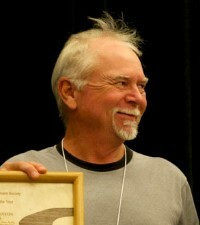 Michael was one of the originators and main organizers of the Canadian River Heritage conference series, held triennially since 1995. Attracting delegates from around the world, it is recognized as the premier conference series of its type in Canada, attracting 250 delegates to each event. Michael led a series of national meetings of rivers managers from across Canada to discuss and resolve issues and challenges facing Canadian Heritage Rivers. This network of Canadian river managers is ongoing and still meets annually. 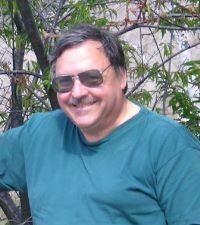 He facilitated Canadian participation at River Management Society events by funding Canadian participants' travel and promoting their work.Michael supervised the writing and illustration of the book Voyages: Canada's Heritage Rivers. It won the Natural Resources Council of America Book of the Year in 1996, the first Canadian publication to do so in the 50-year history of the Council, and was listed by Al Gore as one of his favorite books that year. Michael was the driving force behind the four-year series of Canadian Heritage River stamps published by Canada Post from 1992-1996. These stamps were packaged with a message promoting river conservation to the Canadian public.Michael actively engaged Canada's Aboriginal Peoples involvement in river management through the CHRS designation process. This resulted in aboriginal communities taking a bigger role in the care and management of rivers under their jurisdiction. In 2002, Michael supported Rivers Canada (a Canadian non-governmental organization) in the proclamation by the Canadian government of Canadian Rivers Day (the second Sunday in June), an annual celebration of Canada's rivers. Michael's award was accepted by Don Gibson, his former boss and mentor, who traveled to River Rally from Ottawa. The 2015 winner is Dave Koehler, recognizing his accomplishments in 25 years as Executive Director of the San Joaquin River Parkway and Conservation Trust. In 1985 the Fresno Bee broke the news of several development plans for the bottomlands of the San Joaquin River, the second biggest river in California, essential habitat on the Pacific Flyway, a lynchpin in the vast agricultural economy of the Great Central Valley, and a major source of drinking water for the people of a growing semi-arid region. Although the river was largely inaccessible and even invisible to much of the public, a few concerned citizens mobilized to conserve what they could. As a result the San Joaquin River Parkway and Conservation Trust, a non-profit corporation, was established in 1988 to create a 33-mile greenway on the San Joaquin in the rapidly urbanizing Fresno-Madera region. Dave Koehler has skillfully and patiently guided the Trust through the complex, politically-sensitive and lengthy process of assembling the Parkway into not only a regional but a national treasure. He brought to his job the ability to focus on the long view and the detail, a keen sense of timing, and a disarmingly friendly approach to friends and adversaries alike. Under Dave’s leadership the Parkway Trust assembled 2,864 acres through 18 different land transactions including fee title, conservation easements, and donations, and earned the Land Trust Accreditation given only to community institutions that meet national quality standards for protecting important natural places and working lands forever. The State of California established the San Joaquin River Conservancy in 1992 to help acquire, operate, and maintain the Parkway, and some 20 years later the Interior Department identified the San Joaquin as a high priority of its American’s Great Outdoors initiative. In 2008, prompted by settlement of a 20-year lawsuit over dewatering and loss of salmon runs in the San Joaquin, Dave spearheaded a gathering of non-profits to share ideas about improving conditions on the San Joaquin and enhancing California’s quality of life. Auspiciously, a year later federal legislation created the multi-agency San Joaquin River Restoration Program to focus on river flows, salmon restoration and water supply projects. The 15-member San Joaquin River Partnership made it their mission to support and enhance these goals by working with local governments and landowners to improve land management practices and by inspiring the public, especially youth, to envision a balanced, ecologically viable, and accessible river system. Dave has a genius for fostering innovation and partnerships. For over two decades the Trust’s famous “Party for the Parkway” and “Take me to the River” fund-raising strategies have successfully engaged generous friends and leveraged public and private funds needed to acquire land and develop programs for the Parkway. A crowd-sourcing project has brought River Camp downstream to farm-workers’ children for the last two summers, and this year the Trust will be working with a local non-profit to restore a former gravel pit to a farm for community supported agriculture. In 1988 the fledgling Trust launched its first River Education Program with three area school districts. 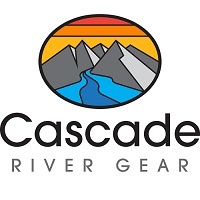 Today, with the help of trained River Docents, Guides and Hosts, more than 25,000 people of all ages participate each year in the Trust’s river-related education programs including school field trips tied to California State Science Standards; “River Quest” classroom presentations; week-long River Camps for children in preschool through high school; canoe tours with trained river guides; conferences and seminars at the River Center; and nature walks on properties not usually open to the public. The work of the Trust affords volunteers regular opportunities to participate in river clean-up, restoration, and invasive weed control projects. 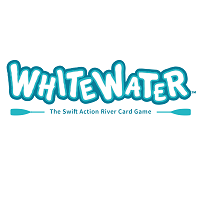 Dave with his many friends and associates produced a multi-day San Joaquin River Conferences in 2012 and 2013 that drew enthusiastic participation from agencies, educational institutions, advocacy groups, foundations and other “believers” in the San Joaquin.. 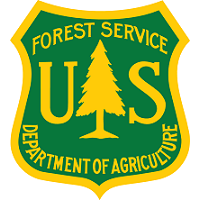 Most recently, the Trust and the Partnership with assistance from the National Park Service Rivers, Trails and Conservation Assistance Program and others published an online public access guide to the San Joaquin River, the first to highlight the recreational and educational features along its 300 miles from the headwaters in the High Sierra to San Francisco Bay. John Little of the Missisquoi River Basin Association (MRBA), iss recognized for his outstanding and sustained commitment to Wild and Scenic Rivers that led to designation of the Missisquoi and Trout Rivers in Vermont as that state’s first National Wild and Scenic Rivers in December, 2014.
concerned citizens who work together to improve water quality in the Missisquoi watershed. 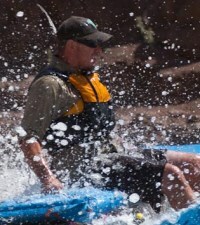 John first learned about the National Wild and Scenic River System while attending the 2004 River Rally. He was intrigued by the National Park Service’s partnership approach to managing Wild and Scenic Rivers in the Northeast, and decided to pursue designation of Vermont’s Missisquoi and Trout Rivers into the system as Partnership Rivers. John led the ten-year effort to achieve designation for the Missisquoi and Trout first by campaigning for congressional authorization for the Park Service to study the rivers, and subsequently by pursuing their congressional designation. Between 2009 and 2013, John played a key role in the development of the Study, the locally-based management plan, and ultimately successful town meeting votes in favor of Wild and Scenic River designation in 9 out of 10 Study communities. His leadership—with the support of many other individuals and organizations—culminated in the successful designation of forty‐one miles of the Missisquoi and Trout Rivers into the National Wild and Scenic River System under Public Law 113‐291 on December 19, 2014. Spoke at many (if not all) public meetings held throughout the ten year process, and always helped ensure that everyone understood that the Wild and Scenic River proposal was locally led and motivated – a critical factor to success; andPlayed an instrumental role in designing Bugworks, a hands-on learning program for grades 5-6 studentsthat teaches children about the importance of invertebrates and their effect on stream health. This program brings awareness of river issues to local students and their families, and allows river information to be well received in local communities. RMS extends a hearty 'thank you' to the RMS Awards Committee: before the award nominations came rolling in this year, we welcomed two new award committee members Cathi Bailey and Lelia Mellen. These new members, together with existing committee members from Washington D.C.,and Washington State, Alaska, Oregon and Idaho helped to round out representation across the country.